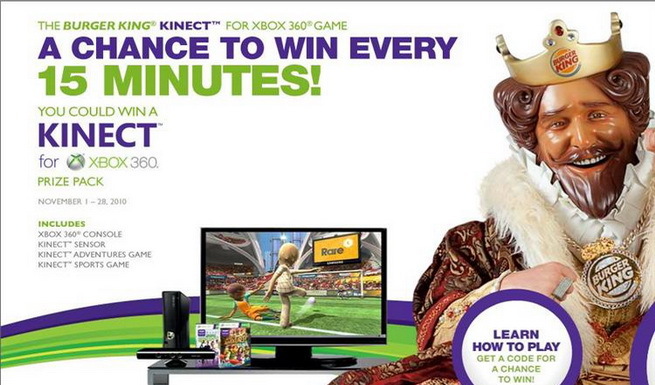 Win Kinect Every 15 Minutes! Burger King is giving away a bundle that includes an Xbox 360, Kinect Sensor, Kinect Adventures and Kinect Sports every 15 minutes! You can enter up to 6 times per day. So what are you waiting for? Go here to enter for yourself!